We know not everybody has time to read our full reviews. So here is a quick category by category breakdown of the Premium Vapes followed by a quick synopsis. Premium Vapes is one of the biggest companies out there making disposable electronic cigarettes. They have been in the business for a while, and they continue to push new products and innovate on their old ones. But are their shiny new cigs really offering a quality experience, or are they just compensating for low-quality products? Read our review below to find out what we thought. Premium Vapes offers a couple different ways to get your vape on. The Standard starter kit is their big seller and the one they are pushing most often. It retails for $79.95, which is on the high end of the market. It comes with two batteries, five cartridges, a wall charger and a USB charger. Honestly, that’s not enough materials packed into the box for that price point to make us happy, so we had to hope their quality made up for that. The On-the-Go Kit is still priced a bit high, and it will cost you $49.95. This one includes a single battery, a PCP, five cartridges and a USB charger. If you would prefer an ego kit, Premium Vapes offers one of those as well, for the same $79.95 as its Standard kit. It will give you a bit more power and all the same stuff as you would find in the Standard kit. The battery performance in Premium Vapes is not as excellent as we had hoped. They are actually on par with the market average, giving you a couple of hours of vaping on each charge. That would be fine if the kit was priced the same as everybody else’s, so it feels like your money is being wasted a bit. On the plus side, the batteries charge quickly, so as long as you have two of them, you should never be rushing to charge them. 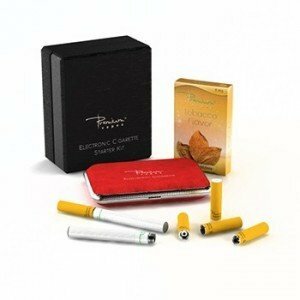 They offer around 20 flavors, with a few fruit flavors, menthol and tobacco flavors to choose from. Most of them are decent, though there aren’t any really standout flavors that steal their corner of the market. 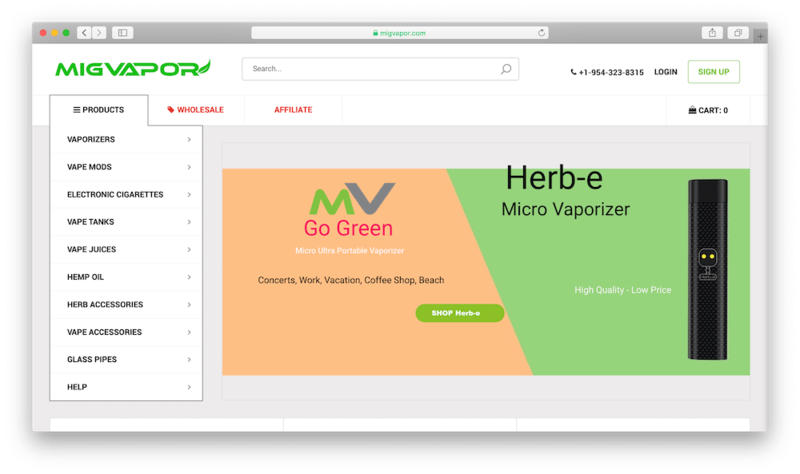 Most companies tend to have a couple flavors that really make a name for themselves, but there’s nothing like that in premium vapes’ catalog. But most of them are going to satisfy the majority of people just fine. If you’ve made your investment into Premium Vapes, you likely won’t be disappointed with the flavors they have to offer you. The vapor production is decent, and you get a nice, thick vapor nearly the entire way through teach cartridge. We didn’t really run into any problems with the vapes tasting burnt right near the end either, like you would experience with some of the competition. The throat hits were pleasing as well. The company must be using a fairly even PG/VG mix to give you both the throat hit and the good vapor production. So while we don’t have any complaints about either, we do wonder where all our money is going. And that answer may be in the battery designs. There are a number of nice designs to choose from and several colors as well. If you like to customize your vaping experience, Premium Vapes certainly offers you the ability to do so. We gave Premium Vapes a thorough testing and the overall impression we came out with was that they were fine. They aren’t remarkable in any way, and they don’t offer a substantially better experience than many of their competitors. Everything they have to offer is mostly decent, but that’s about it. For the price we were paying, we expected them to excel in at least one area, but that never happened. We definitely would not recommend them to first time users. They are simply priced too high to be accessible, though we can’t complain about the level of quality they are providing. Premium vapes doesn’t do anything wrong as far as we are concerned, save for their pricing. We would like to see them find a way to decrease their prices while still offering consistent quality. But for now, they just aren’t being competitive, and they will have to step up their game to really stand out and be compelling. 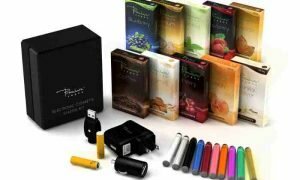 Vapor King E-Cigs Review – Ready for Those King-Size Clouds? Find out why we think Vapor King’s own e-cigs are limited and uninspired, while they offer great products from other brands. Read our detailed review here.